@jtpentecost: Cool, thanks for the info. I have never understood the argument that wider hubs allow for more tire clearance. The tires have to fit between the chain stays not the axle mount. What they should say is that a wider hub moves the cassette out from center which requires the chain ring to move outward as well in order to maintain the proper chainline. This requires a wider crank spinde. Suddenly there is room to move the crank arms and chainstays out and we have tire clearance. What's the cost? Increased Q-factor. No big deal right. Here's the problem I have noticed... As Q-factor becomes wider pedal clearance is reduced when cornering. This doesn't matter if you never have to pedal through a corner but on flatter terrain you may want to pedal through the turns to maintain momentum. 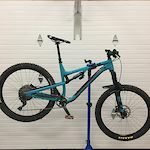 If two bikes have the same bottom bracket height, the one with the narrower Q-factor will be less likely to experience pedal strikes while pedaling through a corner. Where's the other 14 seconds? Intense riding. Good job guys. The riding and video work really complimented each other. Loved the bar drag at the beginning. Forget the bike... Where can I get a door like that? Pinkbike Poll: How Many Days Did You Ride This Year? The answer I was looking for is"not nearly enough". Still I think I averaged 2 rides a week until the snow got too deep. Thank you pinkbike. I have been waiting for this for weeks. To be honest I have no interest in riding trails like that. Self preservation I guess. I know that my skills aren't up to the task. Really cool to watch though. That was great. I hope to enjoy mountain biking until I am in my 80's. Halfway there and still getting better on the bike. Video: Non-Stop Shralping in Scottish... Dust!? 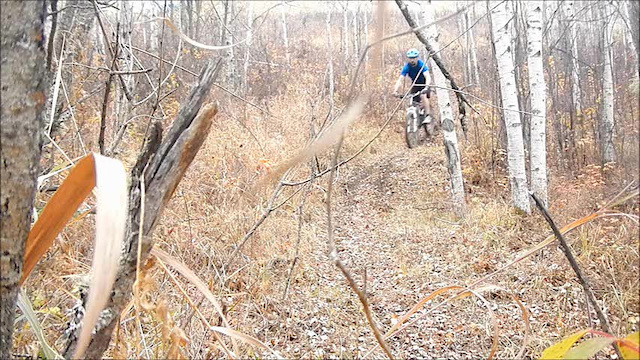 Great riding and trails. Could have done without the music though.